When I worked at camp, you could quickly tell the returning staff from the new staff each summer by how our boss’s wife’s requests were responded to. New staff were often confused and uncertain of what to do when this smart and assertive woman who was not part of the staff made a request or comment. Which is very understandable. Camp is an odd workplace in that we all lived there–alongside the director’s family who lived there year round. Experienced staff, those of us who had acclimated to how the domestic and professional rubbed against each other, depended on each other, knew that our boss’s wife was very important to us, to our work, and to how we’d live this summer. Because her happiness was important to her husband, our boss. Because our boss’s happiness improved our lives. But mostly because community isn’t about hierarchy, it’s about everyone’s safety and happiness. Yesterday I walked my dog. Wrote. Knitted. Avoided Facebook. I worked on my sermon. I toasted the resistance with a nasty woman cocktail. I donated to Planned Parenthood because they’ll need the support. How to face yesterday and the four years it inaugurated has been on my mind for awhile. And what I did, it’s remarkably similar in action, though not tone, to what I would’ve done if Mrs Clinton has won. Yesterday I sunk into what I love about myself and my life. I practiced being excellent at who I am and what I do. Because the work of justice and love I was vowed to in my baptism, it continues either way. Just as it has through President Obama’s administration. It gets harder, a lot harder, but the need to proclaim and practice the equality of God’s children, all of God’s children, remains. I’ve had this line, written by Aaron Sorkin and used in The West Wing and Studio 60, running in my head since early November. I went to bed November 8 sure that Trump would be the President Elect. I went to bed scared and woke to horror and terror with and for women, immigrants, people of colour, people with chronic illness and disability, LGBTQ+, for so many of my friends and family, for so many beloved children of God. We who believe that the government should protect women, people of colour, people with chronic illness and disability, LGBTQ+, and immigrants have reasons to grieve. Our country voted against us and our interests. It is hard to not be with my country right now. My privilege of living in a country where there is nearly universal access to healthcare, where we can at last begin to discuss and respond to the centuries of aggression by settlers against indigenous peoples, where I have a very good chance of remaining for the rest of my life feels amazing and sad. The world might be scarier, might be becoming infinitely dangerous for people who have long lived on the margins of safety, but being Christian has never meant living in safety. It’s never meant living in a world with just and reasonable governments. It’s never been about seeking power or acting out of fear or anger. I’ve been thinking about the power hungry government that crucified Jesus and martyred so many Christians. I’ve been thinking about the fruits of the spirit. 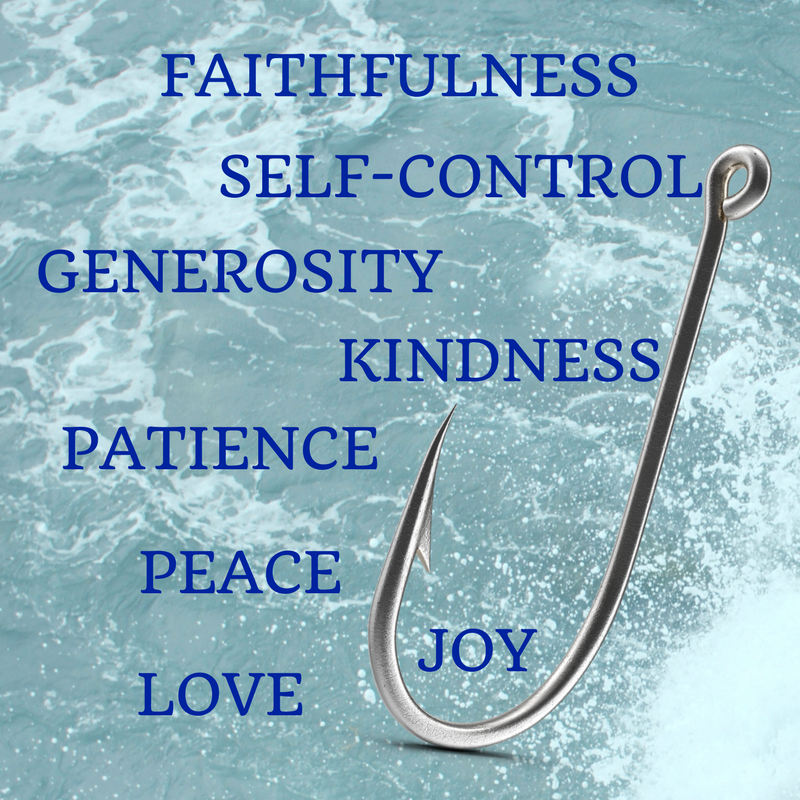 Love joy peace patience kindness goodness and self-control. Paul wrote that against these things there is no law. From Corrie Ten Boom who went to Ravensbuck Concentration Camp for loving her Jewish neighbours to those arrested for feeding the homeless a few days ago, we know Paul was occasionally wrong. And, by their witness and the witness of the great cloud of saints, we know the importance of practicing the fruits of the spirit anyways. I settled on my tasks yesterday because these next years are going to require the best of each of us. And this is who I am. A priest, a wife, an ex-pat in love with both her countries, a dog owner, a writer, a knitter. These are the things that fill my life and activate and enable my resistance. Today I continue the work of taking care of my chronically ill female self, of all the parts of my self that my country, and sometimes my family, acquaintances, and church would prefer if they were less liberal, less ill, less female, less vocal. These next four years matter. To country and economics, but even more to neighbours and friends. Because love and justice are defined by those who receive our actions. Take care of yourself. Take care of your neighbours. Practice the fruits of the spirit. Remember to look after everyone’s safety and happiness. Make space in your community and life for those our culture and politics would rather not exist. Great and amazing things may be required of us in the years ahead. It’s okay. We’ve done them before and, yes, we can do them again. It’s time to be excellent. Morsels & Stories: We took some time to brainstorm all of the ways the Holy Spirit is active in St Peter’s. 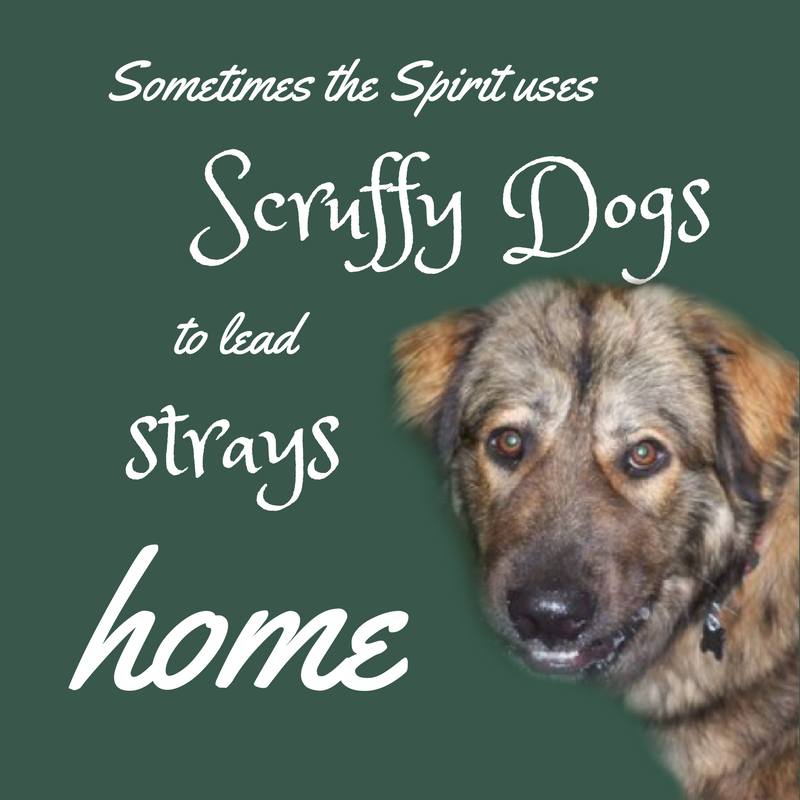 Sermon: I tell a story about my dog, a stray dog, and the odd ways the Holy Spirit works. The lessons for today can be found by clicking here. I worked most closely with John 1:29-42. 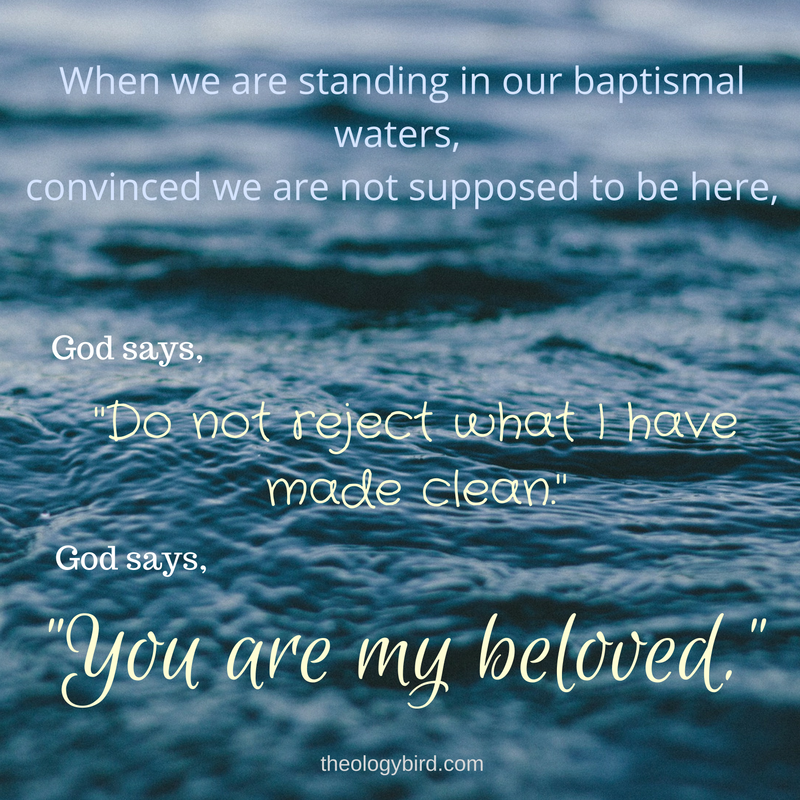 Morsels & Stories: I talked a bit about the Baptismal Covenant, which I love. I manage to work in Commentary on the American Prayer Book, which I also love. Sermon: We back Peter’s story up a few verses and explore being out of place. The lessons for today can be found by clicking here. I worked most closely with Acts 10.